BEALE CIPHER SOLVED Beale's Vault Found! The Beale Ciphers Were Not A Hoax! Below can be seen the Beale Vault! Was located by decoding secretly hidden directions located within Cipher One of the Locality Cipher. The directions to the vault area, construction details, talley of the pots plus contents and the final directions leading to the Beale Vault were entirely decoded from this cipher and no other. Beale's use of landmarks, the location of the excavation site and his method of concealement for both the treasure and the ciphers were absolutely ingenious. Well done Thomas J. Beale! New information will be on display here as as I find time to post additional pictures or documentation concerning our discovery and work. 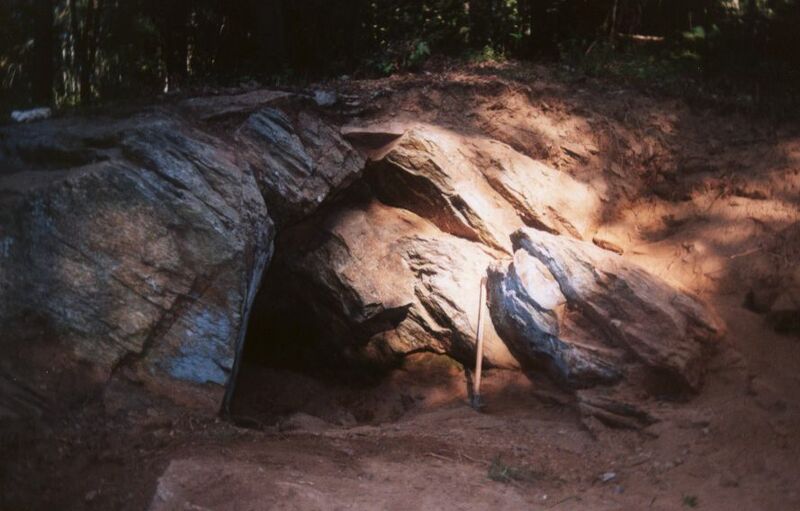 This website currently offers a glimpse of our discoveries associated with the Beale Vault & Excavation Site within Bedford County, Virginia. Our webpage links are located at the top of each page so that no difficulty will be had in finding them. A small pre-dig mpeg video clip is located below ........left click to open or right click to download! The Beale Treasure Forum is now open for those wishing to comment about the Beale Ciphers. Please don't forget to sign my guestbook! Click here for the pre-dig video! 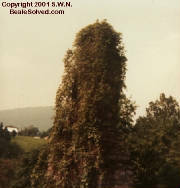 *Buford's Tavern once stood nearby. The instructions within the Locality Cipher are to travel one mile east past the Inn, turn right and proceed a lined distance of three miles to a Point straight-lined with the top of Porters Mountain. This landmark is the reference point for locating the vault by using the distance and direction information given within Cipher One. Only a handfull of artifacts have been discovered during our excavation of the vault and surrounding rock formation, these items were discovered near the upper vault entrance. Pictures of these items have been posted here for those interested in viewing. "Midi sequenced by Barry Taylor"